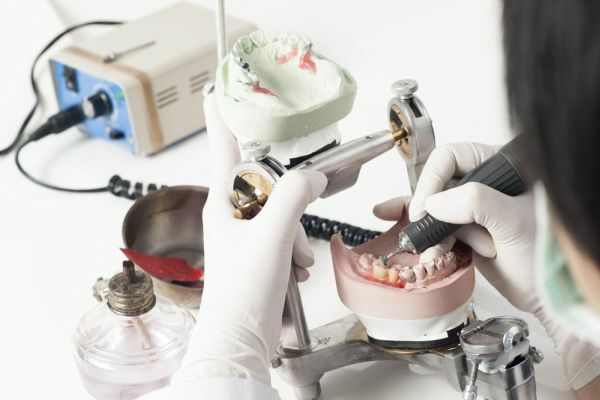 Prior to the use of CEREC equipment, getting dental prosthetics like crowns or veneers required multiple visits to the dentist. Thanks to new advances in technology, it is now possible for patients to get the dental restorations they need during a single visit. The traditional way of getting devices like crowns installed took somewhere between two to three weeks on average. 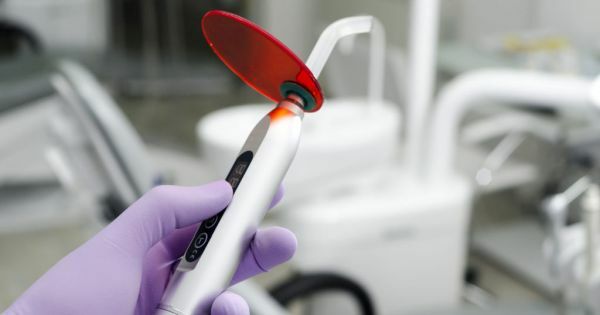 During the initial appointment, the dentist would take an impression of the patient's teeth and gums and send it to a dental lab that made such devices. Given the backlog most of these labs typically have, that usually takes at least two weeks. The process of getting crowns with CEREC is drastically different. Instead of an impression, the dentist takes a digital image of the patient's mouth. That image is sent to the CEREC machine. The dentist and patient can view images of what the prosthetic will look like in the patient's mouth. They can match the shade of the prosthetic to the color of the person's natural teeth. Once both parties are happy with the projection, the CEREC machine begins to make the prosthetic. Think of CEREC as a 3D printer for dental prosthetics. The prosthetic is typically ready in less than an hour. It immediately installed after printing. As was mentioned earlier, CEREC-made prosthetics only require a single visit to the dentist. That is a huge benefit if you have a busy schedule and would like to get things done as efficiently as possible. Less time spent driving to a clinic and taking time off work means more time to be productive. A dental lab takes about two weeks to make crowns and send them back to the dentist’s office. That means the patient has to settle for a temporary crown that might not blend in with the rest of their teeth. With CEREC, your smile is instantly restored. It is not the most pleasant experience to have a dentist take an impression of your mouth. It can trigger some people's gag reflex, and the taste is far from enjoyable. With CEREC, everything is digital. You do not have to bite down on any strange putties. People who opt for traditional crowns often must wear temporary crowns for a couple of weeks. These devices do not always blend in, and they are not as durable as customized crowns. Temporary crowns are secured using a temporary adhesive, so they are more likely to come off than permanent ones. Less enamel is removed when a dentist installs CEREC crowns. This means there is less drilling during the installation, which is something most people will appreciate. Are you considering CEREC crowns? When it comes to restoring your smile without going through a long process, CEREC same day crowns may be your best choice. Make an appointment at our Red Bluff office and take advantage of our CEREC equipment. Request an appointment here: https://www.drelloway.com or call Randal S. Elloway DDS, Inc at (530) 527-6777 for an appointment in our Red Bluff office. Check out what others are saying about our dental services on Yelp: CEREC Dentist. How Are CEREC Crowns Made?